In previous blog posts, we talked about the development process of Can It Fit?, an Augmented Reality (AR) experience available in the Edmunds Android application. Can It Fit? is an AR experience that lets a car shopper visualize a virtual vehicle in a space and see if it fits. This post will focus on the implementation details of the virtual parking space. 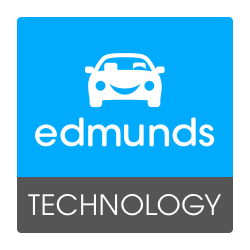 At Edmunds we’re not just about making car buying easier, we're also passionate about technology! As with any website that has millions of unique visitors, it's a necessity that we maintain a scalable and highly-available infrastructure with reliable services. We are excited by software design and strive to create engaging exper-iences while using coding practices that promote streamlined website production and experimentation. We embrace continuous delivery, dev ops, and are constantly improving our processes so we can stay lean and innovative. We also prioritize giving back to the community by providing open APIs for our auto-motive data and open sourcing projects whenever possible. Is Migrating to the Cloud a Financial Win for Your Company?